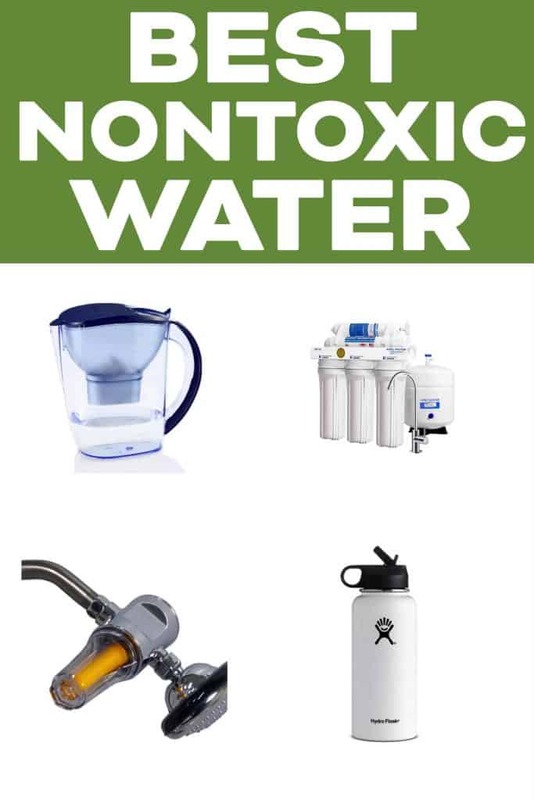 The best water filters and water bottles to use for the safest drinking water to avoid toxins, pollutants and contaminants. Tap water is not as safe as you think. The standards of safety for your municipal tap water are not high enough. Chemicals and pollutants from the environment are contaminating our water, and it is not safe and pure like you would think. If you want a real eye opener, watch the documentary The Devil We Know (streaming on Netflix). EWG shares a TON of information on water safety, and also makes it easy for you to look up your local water report to see just what is in the tap water you are drinking. 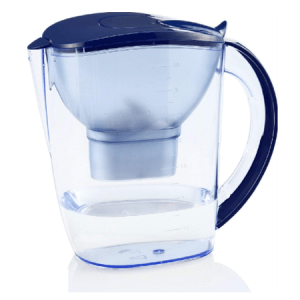 This water pitcher is the most affordable option. It also alkalizes the water, and makes it taste delicious! My mom uses this and loves it. She also brings it when we travel so we can have healthy water on the go. This is the solution we took. My husband installed this reverse osmosis system at our kitchen sink. 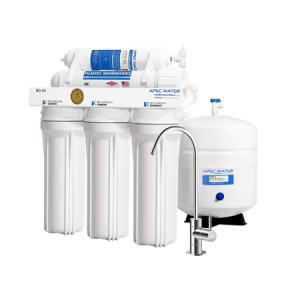 It removes 99% of contaminants including arsenic, chlorine, lead, fluoride, heavy metals, bacteria, virus and 1000+ contaminants. 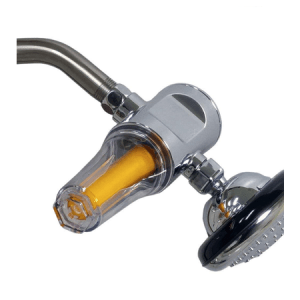 We haven’t gotten one yet, but this shower head water filter is next on my list. Your skin absorbs the contaminants in the water, especially when taking warm showers and your pores are opened up. This shower head water filter will remove them. They don’t make one for bathtub faucets, so when filling the bath you’ll fill it through the shower head. Be sure to replace the filter every few months. Please stop drinking water out of plastic water bottles. The water is not pure and filtered like you would think. And the plastic leaches in to the water. The best choice is a stainless steel water bottle. There are tons out there. 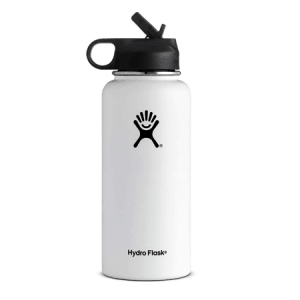 My favorite is this Hydro Flask with the BPA Free Straw. The straw makes it very convenient to drink out of when driving or pushing a stroller. It doesn’t get condensation when filled with ice water either.